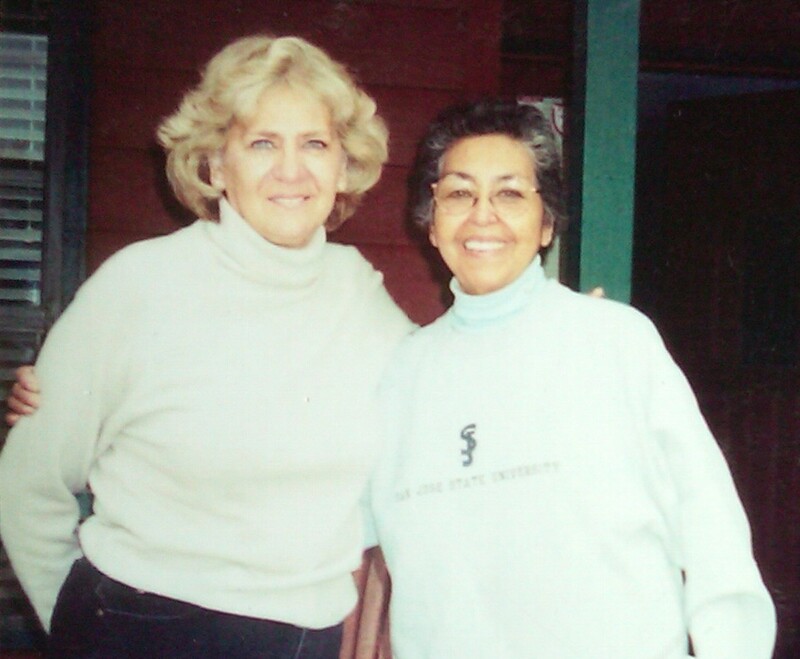 My sister Patty with my mom in early 2003. By mid-year, the senior VP in California informed me that I had been selected, at his recommendation, to participate in the exclusive Comcast Executive Leadership Forum class of 2004. The Executive Leadership Forum was by invitation only, and the corporate chitchat was that those who completed the program were soon sitting in executive chairs. Just as my professional prospects were looking up, my personal life took a downturn. 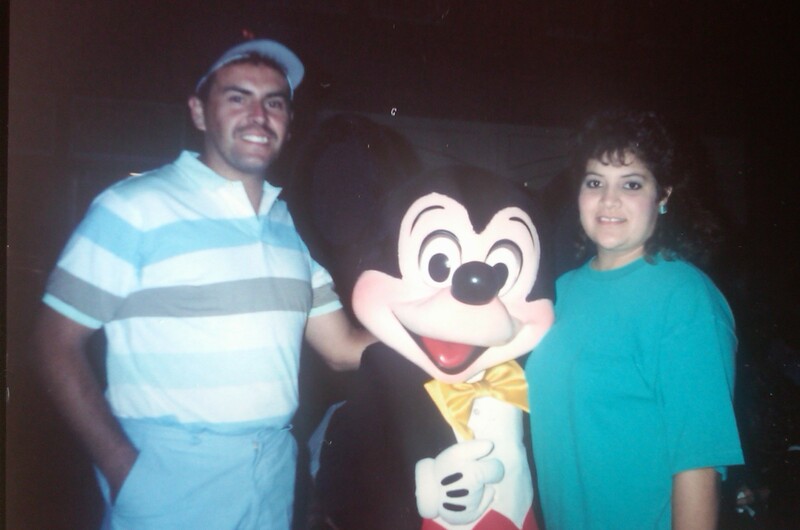 In March 2003, my sister Patty, just forty-nine years old, suddenly died from myocarditis, an inflammation of the heart muscle caused by an infection from a virus. She started the year with what seemed like a bad cold that appeared to lead to bronchitis and pneumonia, but doctors couldn’t clearly identify the problem and decided to do exploratory surgery. The morning of her surgery I called Patty to wish her luck and told her that Sandra and I would make the four hour drive to her home in Bakersfield to see her when she emerged from the operating room. That was the last conversation I had with my sister. During surgery, the doctors confirmed that she had myocarditis and that her heart was so weak that she would need a heart transplant immediately. A suitable heart was found at the UCLA Medical Center, just a short one hour helicopter flight to Los Angeles. The doctors first needed to make sure that her heart was strong enough for the flight, so my sisters Barbara and Sisi, and my brother-in-law’s family prayed for a positive outcome and anxiously waited for the doctor. 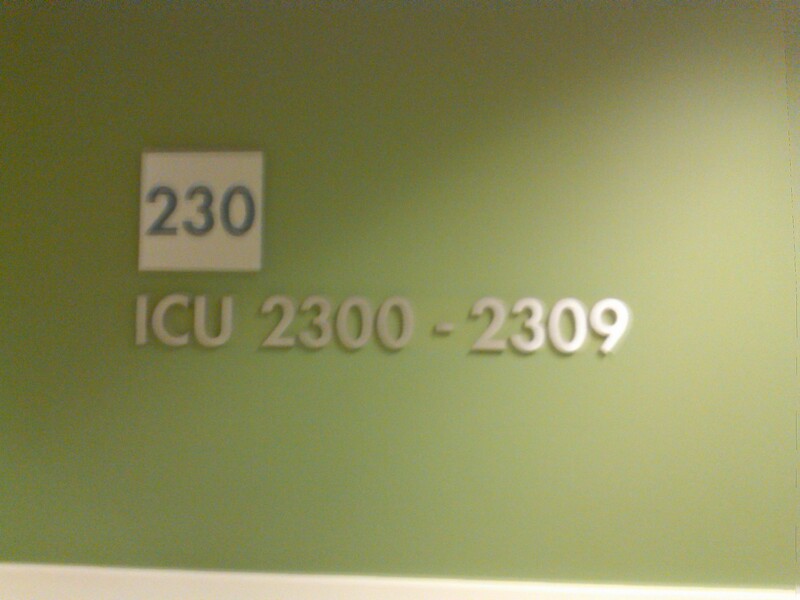 Finally, in the early morning hours before dawn, the doctor walked into the waiting room and asked my brother-in-law to step into the ICU unit. My brother-in-law asked me and the priest who presided over his and Patty’s wedding many years earlier to join him and the doctor. Once in the wide and antiseptic hallway of the ICU unit, the doctor, in a straightforward and unemotional manner, told my brother-in-law that Patty’s heart had weakened to the point of failure and that she would die within the hour. As my brother-in-law sobbed and pounded his fists against the wall in grief, I stood by dazed and numb, and my mind started to spin trying to find answers in the confusion. Patty had been in great shape, she ate well, rarely stressed about anything, and she died of a bad heart. A few days later, I was given the honor to speak at her memorial service where I described her fighting spirit and her total devotion to her husband and her only son Matt, while my mind swirled about my own mortality. At just thirty-nine years of age, I intensified the urgency I had placed on myself to achieve redemption by accepting the invitation to participate in the Comcast Executive Leadership Forum and working longer hours. I was excited about starting the program and moving forward after the stunning death of my sister, but 2003 ended on the same tragic note when my mom died of a blood infection after battling kidney failure for several years. Once again, I found myself at the podium delivering a eulogy for a woman I loved while my mind raced about the ticking clock that foretold the end of my time. While my sister’s sudden death was startling and forced me to think about my health, my mom’s passing was devastating. She had been the glue that kept everything together. Her unconditional love kept me afloat during the darkest of times. I was sad, scared, and not sure how I would get through the tough times that were sure to come. In addition to the emotional pain, my mom had named me the trustee of her living trust and I felt a deep sense of obligation to get it right. Hearing my dad’s voice advising that working hard was the best my way to get through sorrow, I developed a laser focus on my career and on settling my parents’ estate. 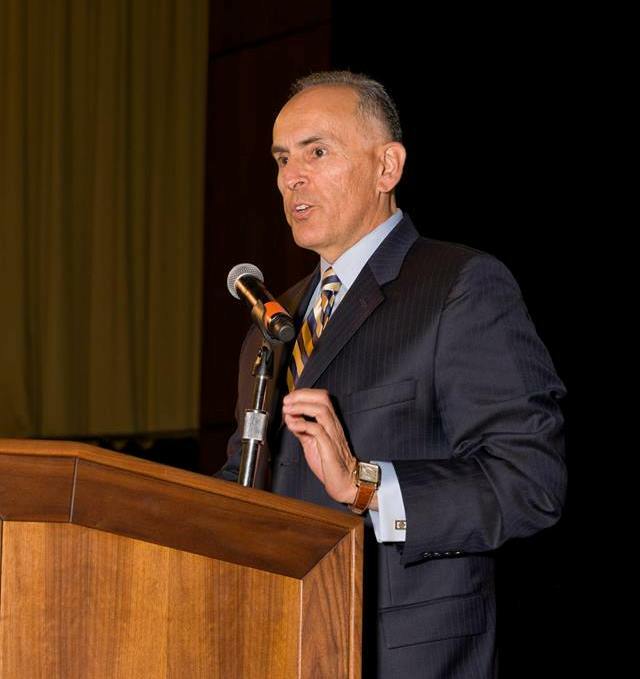 On top of meeting daily responsibilities as director of government affairs for Comcast in the South Bay Area, for the next ten months I traveled frequently to Philadelphia for the Executive Leadership Forum. My work schedule was grueling with regular trips to Sacramento and Washington, D.C, in addition to stops around the country as Comcast’s representative at national Latino political gatherings. The grinding schedule kept my mind off of the huge void left by my mom. What few hours I had left in the day would be spent with Sandra and the girls. If I was in town, I would have dinner at home before heading out to an evening event, and when on the road, I would call Sandra and the girls just before bedtime to say good night. Sandra began expressing concerns about how hard I was driving myself. If I wasn’t careful, she warned, my family history of heart disease would catch up to me. Rather than taking that warning as a sign to slow down, I drove myself harder rationalizing that the clock was ticking and my window for redemption and success was closing fast. In September of 2004, after a long week of business in southern California, I found myself short of breath while trotting up a flight of stairs at the Long Beach convention center. At the top of the steps I was able to compose myself, and a few minutes later, the sensation disappeared. 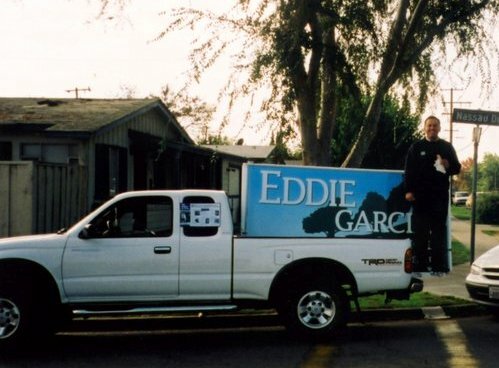 Campaigning for city council from the back of a pick-up truck in 2000. Losing that second campaign for school board didn’t diminish my ambition or my hopes of winning election. Two years later, I decided to run for the city council. I had earned some name recognition with voters during the school board campaigns and my professional profile improved with my position in the business world. 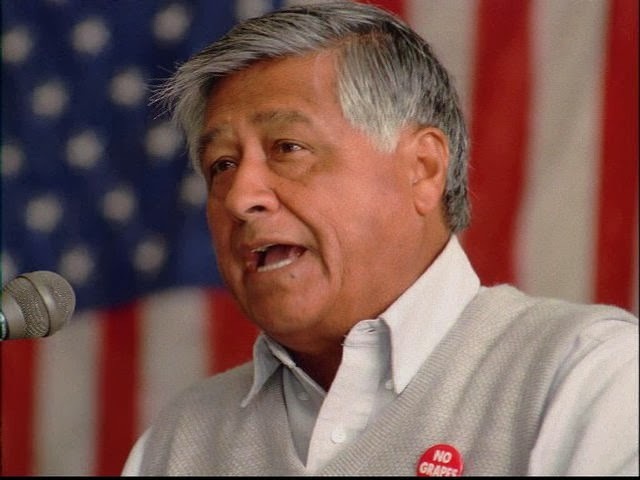 The only person who stood in the way was a high school board member who was the scion of a political family whose father had served in the California state legislature for two decades. In the spring primary election, each of us defeated two other opponents to earn spots on the general election ballot in November. Primary election night would be the highlight of my electoral political career as I gave a victory speech, with three-year-old Erica in my arms, in a packed campaign office, to the cheers of my family, friends and supporters. I started the fall campaign trailing badly in the polls, so with the support of a small cohort of extended family and friends, the campaign team was essentially a family affair. 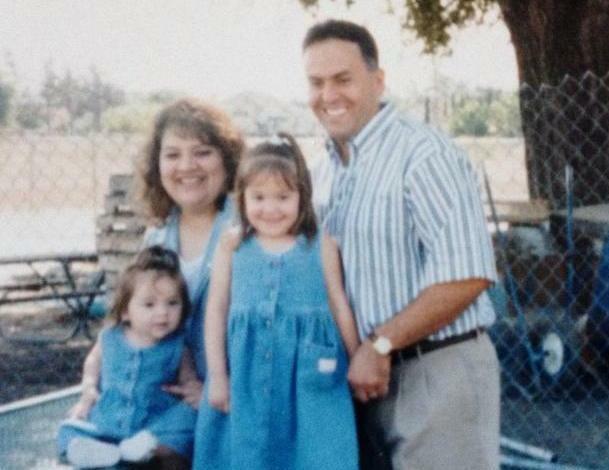 The Peralta girls and Miguel walked precincts every weekend and called voters every night asking them to vote for me. My mom and Mrs. Peralta shared phone bank duties as well. Pancho, Eddie, Will, and Rudy fanned out throughout the district posting campaign signs on supporters’ yards and along major roadways. Even Marisa, just five years old, walked door-to-door campaigning with me, her infectious smile confidently persuading people on their front porches to vote for her daddy. After a long and vigorous campaign, I couldn’t overcome my opponent’s well-known name and well-financed campaign machine. The returns on election night proved to seal my third electoral loss in six years. I was devastated as I addressed supporters in a crowded room at a local restaurant to thank them on my family’s behalf. As people gathered around me with tears and hugs, I felt something tugging at the bottom of my sweater and looked down to see Marisa looking up at me with teary eyes saying, “Daddy, I’m sorry you lost, but I’m kind of happy because we could have you back now.” The next morning, I woke up after just a few hours of sleep with my political dreams smoldering in the ashes of failure. Despite the fact that my political career was over, the ambition to succeed and erase the demons of the past with a focused urgency hadn’t gone away. I was committed to putting all of that energy into spending time with my family and building a career as a corporate executive. As it turned out, I spent more time chasing the elusive concept of success than I did enjoying my family. I wanted to be a good husband and father, and I loved being with Sandra and the girls, so I made sure that I was home for dinner every night I was in town and available for as many school events and family events as possible. For several years I coached Erica’s little league teams, but it wasn’t unusual to hear the kids shout, “Coach García is wearing a suit again,” because I would have to run out right after practice to be on time to my first meeting for the evening. Despite my efforts to be a fully engaged father, my professional ambitions took the lion’s share of my time. When Comcast acquired the local cable company as part of a nationwide eighty billion dollar transaction, I was now working for a major American corporation with countless opportunities for those who wanted to get ahead. During a tour of Comcast facilities in San Jose, the new senior vice president for the California region stepped into my sparse office, asked about my background, my family, and my plans for the future. I filled him in with the basics about Sandra and the girls, my career up to that point, and boldly proclaimed that I wanted to be a vice president someday soon. Over the next several months, the senior VP called on me to lead selected projects in the regional government affairs department, which I accepted without hesitation. Although these special projects required me to be away from the office often, my direct supervisor was supportive of my ambitions and allowed me the time needed to be away. I was making much progress in my climb up the corporate ladder when I became close friends with a colleague at the corporate office in Philadelphia. He was a bright executive forging his own way up the organizational chart. We had much in common: we were both in our 30s, we both had our eyes on higher executive positions, we both had the same philosophy on government relations, and we both were persons of color. He asked me to help at the national level when a local elected official from California with whom I had a strong working relationship was appointed to the telecommunications public policy committee of the most influential municipal advocacy group in the nation. With me and my colleague representing Comcast, we co-hosted a dinner with the California official in Charlotte, North Carolina, for the telecom committee members. Just like that, I became familiar to executives at corporate headquarters as a valued representative of the company, especially with Latino political organizations. Before long, I was in Los Angeles, Washington, D.C., Dallas, Santa Fe, and San Juan, Puerto Rico representing Comcast at national meetings of Latino public policymakers. I also began to face challenges in my professional life. In 1996, I worked around the clock managing the supervisor’s campaign. It was so consuming that when we celebrated Marisa’s second birthday at a pizza parlor, I stayed for just thirty minutes only to return to the campaign office because Election Day was just six days away. It also became clear that my decision to pursue a career in elective politics severely compromised my day job. Later that spring, I left the supervisor’s office for a failing non-profit organization that dissolved seven months later. At home the night Erica was born provides a snapshot of that trying time. While Sandra and the baby slept at the hospital in preparation to come home the next day, three-year-old Marisa and I sat alone in the virtually empty family room of our newly purchased house watching television. While she was enjoying the quality time with her daddy, my mind wandered thinking about of being unemployed soon with a mortgage we could barely afford, worried about how I was going to provide for my family, and how I was going to pursue my professional dreams under such challenging circumstances. With the impending collapse of the non-profit corporation nearing its endgame, I would scour the newspaper for job opportunities every day. Once again, fate stepped in. One Sunday morning while Sandra and the girls were still asleep, I stumbled upon a rare job announcement for a government affairs manager at the local cable company. Government affairs departments are unique to industries that are regulated by federal, state, and local governments. The role of a government affairs department is to develop and maintain relationships with elected and government officials to educate them to provide an opportunity for that company or industry to influence public policy that is beneficial to its business interests. Usually, these types of job opportunities are shared by word of mouth with those who work in the political sector, so it’s unusual for a company to place an ad in the newspaper. I applied for the job and called on all of the politicians and community leaders with whom I had developed strong working relationships to send letters and make phone calls to the cable company. The work ethic I learned from my parents, the urgency that drove me since my dad’s passing and my mom’s heart attack, and the opportunity to right the wrongs of my past motivated me to prepare obsessively for the job interview. Well prepared, I drove to the interview early so I would be relaxed and confident for the meeting, only to get lost in an unfamiliar part of the valley. Those were the days before auto navigators and GPS devices, so I found myself driving up to gas stations and other drivers stopped at traffic lights to ask for directions as the clocked ticked ever so close to the scheduled interview time. My heart pounded at the thought of missing this opportunity and watching failure rear its ugly head again. Speeding through the maze of streets lined with the same looking, low lying concrete Silicon Valley research and development “tilt-up” buildings, I finally made it to my destination with just a few minutes to spare. I walked into the lobby nervous and anxious, wiping sweat off my brow and composing myself to look presentable. Wearing my best suit, I walked confidently into the office to start the meeting. I dazzled them at the interview and I was invited to meet executives at the division office in Walnut Creek, more than an hour away, a few days later. I was nervous and excited to meet corporate executives, something I never would have thought was possible just a few years earlier. This time I wasn’t taking any chances. I arrived in Walnut Creek more than an hour early. The meetings went well and I got the job. My life would never be the same. Working at the cable company was a great experience. I strengthened my relationships in the political community, learned about working in a corporate environment, had an office all my own, and shared an assistant with my boss. I also visited Washington, D.C. for the first time. Managers at my level rarely had the opportunity to represent the company in Washington, but my solid relationships with a few members of Congress led to the invitation by our department’s vice president. When I arrived early that January evening, a light snow was falling and the lighted monuments and U.S. Capitol made the city glow majestically. That night, I went out into the freezing rain to see the Lincoln Memorial. I shivered while walking up the steps to the enormous statue of Abraham Lincoln sitting in a chair looking across the Mall toward the Capitol Building. The statue took my breath away. I turned and looked to see what Lincoln was seeing and stood motionless as I gazed at the iconic Washington Monument and Korean War Memorial shimmering in white as the rain gave them a shiny finish. I couldn’t believe that I was there, a boy from the east side who failed in college and found his way back, standing in center of the free world. I returned to Washington several times a year over the next 10 years and never lost the excitement and inspiration our nation’s capital gave me that first night. My career in the corporate world was progressing nicely as I was promoted to director within two years. Still, my hunger for political success grew even stronger. In 1998, for a second time, I ran for a seat on the elementary school board against three longtime incumbents. 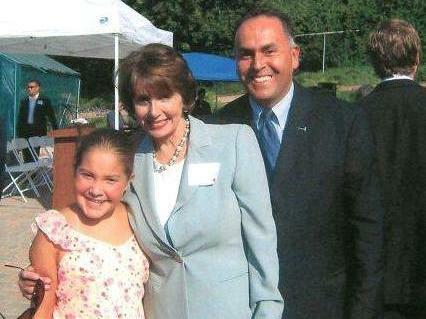 Sandra, her parents and sisters, and my brothers-in-law formed the heart of the campaign. We learned a lot from the last election and had a well-organized operation. When I walked door-to-door asking people to vote for me, many had remembered me from the 1996 campaign. On Election Day, hopes were high. By the end of the night, I lost again by a slim margin. When I started working at Kinney’s again, a friend named Sammy Ybarra, who I met through a high school friend years before, asked me be his assistant coach for the eighth grade boys basketball team at his elementary school alma mater, a Catholic school in his neighborhood. He and I became good friends, and I later served as a chaperone at his wedding. I excitedly accepted his invitation to help coach the team. We had a blast, and the next year, the school asked me to be the head coach for the boys’ sixth grade basketball team. I poured all of my energy into coaching that team, and we won all of our games except the championship game at the end of the season. The kids, parents, and school community loved me, and working with the boys gave me a glimmer of hope that I could succeed at something. Although the carousing, drinking, and chasing women continued, I began to think that there was a way out of the mess I had created for myself, and getting back into college was the key. Later that spring, school officials asked me to coach the eighth grade baseball team, and I took on that job with the same gusto. During the day and on weekends, I was peddling shoes; and in the afternoon during the week I was coaching a Catholic school baseball team at Welch Park in east San Jose. At night, I was hitting the town causing mischief and feeling a little less inadequate, but not by much. One day, while hitting ground balls at practice, I noticed a shiny car slowly rolling down Santiago Avenue, the roadway that ran between Welch Park and the row of houses across the street. 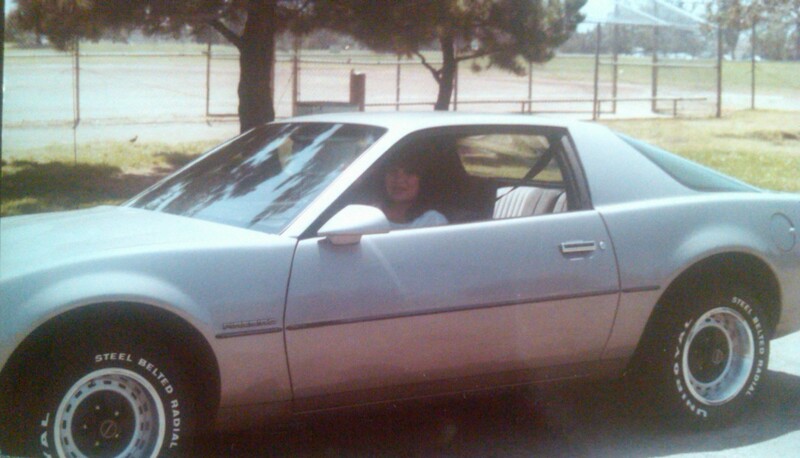 The driver of that silver 1984 Firebird turning left onto the driveway at the house right across the street from home plate would forever change my life. Right across the street from home plate on the baseball diamond at Welch Park lived a beautiful young woman. Every day, I would stop practice to the merriment of the thirteen and fourteen year old boys as she drove up to her house. I would watch her gather her belongings from the car, sling her backpack over one shoulder, and sip a soda as she walked into the garage that led to the house. Day in and day out every afternoon, like clockwork, she would turn onto the driveway in her silver Firebird and I would stop practice to watch her routine to the chuckles and giddiness of the team. After a week or so, the mischievous boys dared me to walk across the street and ask her out on a date, so I took on their challenge the next day as she drove up in a brown Mazda similar to one owned by another young woman I knew. This was my chance, so I casually jogged across the street pretending that she was the other girl and shouted, “hi Clarabelle.” As I approached her in the garage of the house, I finally had the chance to see her close up. She took my breath away. She had smooth fair skin, high cheekbones, long flowing brown hair combed in the 1980s style of the day, big brown doe eyes, and cute lips that curled just slightly at the top. With confident reserve, she said, “I’m not Clarabelle, my name is Sandra.” I apologized for mistaking her for someone else and nervously introduced myself. I shuffled my feet without taking my eyes off of her eyes, mumbled several things I don’t remember, apologized again, and started jogging back to the park. She left me speechless, and I didn’t have the courage to ask her out, even though that’s not what I told my players. During the next several weeks, the kids on the team kept asking if I had gone out on a date with Sandra and I told them with authority that a gentleman doesn’t kiss and tell. Of course, there were no kisses and nothing to tell. Every afternoon when she slipped out of her car, I would wave my hand to say hello in an effort to catch her attention, but I don’t remember if she ever waved back. When the baseball season ended I had no reason to go back to Welch Park, so I kicked myself for not getting Sandra’s number and letting an opportunity to slip through my fingers. Next Wednesday: Fate gives me another chance to meet Sandra. For those who believe that they alone hold the keys to their own destiny, God sure has a funny way of teaching life lessons. Due to self-perceived shortcomings, I deemed myself a complete failure by the time I was 22 years old. With an obsession to excel and a naive quest for redemption, I fought my failure demons for more than two decades working endlessly in my elusive pursuit to find success. Thinking I had almost conquered the demons, I had a massive heart attack on June 7, 2010. Ten days later, cardiac arrest caused my heart to stop, and ten days after that, I had an allergic reaction that led to Acute Respiratory Distress Syndrome (ARDS), a potentially fatal lung condition that affects just 150,000 people per year according to the ARDS Foundation. To treat ARDS, doctors medically induced me into a coma and put me on full life support. Emerging from the coma, I had to learn how to move my limbs, stand, walk, talk, and swallow all over again. On September 21, 2010, 106 days after the June 7th heart attack, I went home. During my long and difficult recovery and rehabilitation, I had hours and hours to think about mortality, God, faith, and the meaning of love, family, friends, and redemption. Doctors told me that surviving three life-threatening episodes in one summer is a miracle and encouraged me to write about the experience. With that in mind, I interviewed family, friends, and the medical team at Kaiser Santa Clara Medical Center. What resulted is a 200-page manuscript I named, Summer in the Waiting Room: How Faith, Family, and Friends Saved My Life. It’s the unique and inspiring story of a boy who grew up in a working-class neighborhood, failed at college and lost hope, met and married the love of his life, returned to finish college, raised a family, and built a career in corporate America and public service. It’s also the story of a man who vowed never to fail again and toiled tirelessly trying to redeem himself, only to find true redemption while in a state of complete helplessness in the ICU. To share this story, beginning this Wednesday, East Side Eddie Report.com will add a new feature posting weekly excerpts from Summer in the Waiting Room: How Faith, Family, and Friends Saved my Life. My dream is to someday publish the manuscript as a book, so please let me know what you think. Also, if you like the story, please share the Wednesday posts with your family and friends. I truly appreciate you taking the time to read East Side Eddie Report.com each Monday. I hope the posts are interesting and look forward to Summer in the Waiting Room bringing you back every Wednesday too. If you have any suggestions or comments, please send them along.